Examples, solutions, videos, worksheets, and lessons to help Grade 8 students learn about solving and graphing linear inequalities on a number line. 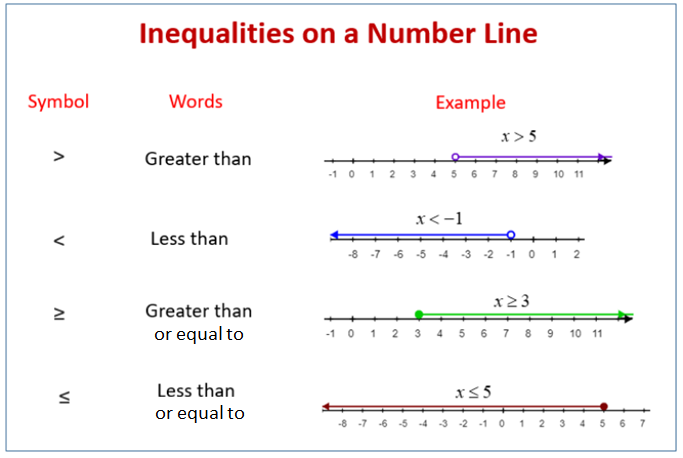 The following diagram shows how inequalities can be represented on the number line. Scroll down the page for more examples and solutions on how to graph inequalities on the number line.